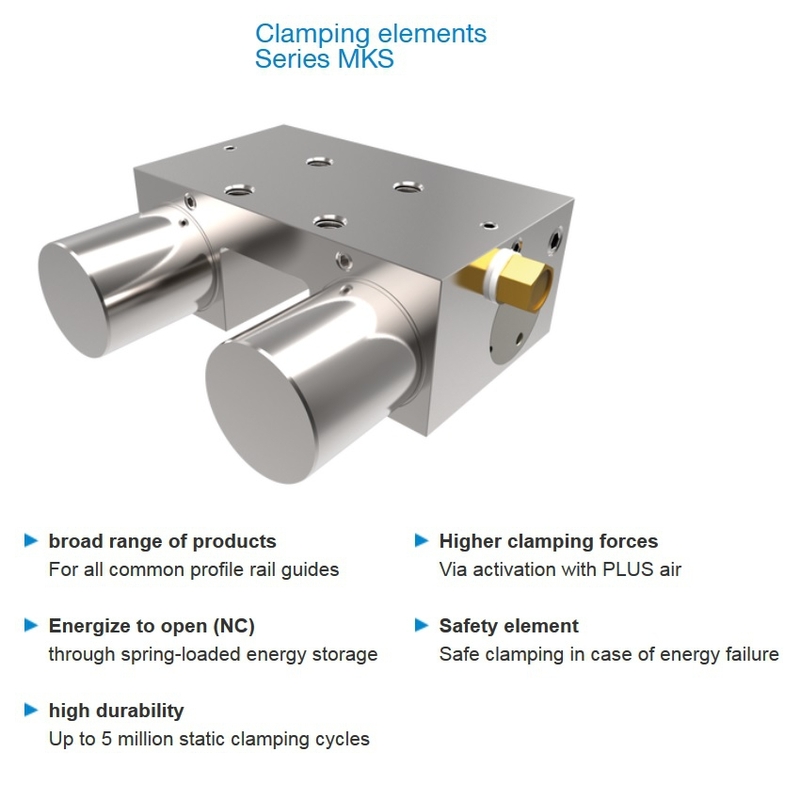 Pneumatic Clamping Element MKS2001A | DamenCNC B.V.
Pneumatic Clamping Element which is compatible with the HIWIN HGR series rails and carriages. The brake is spring loaded. Which means pneumatics need to be added/present to release the brake. This is normally done with a 5/2 Valve. This MKS type is made to hold a carriage in place, it is not suitable for active braking. 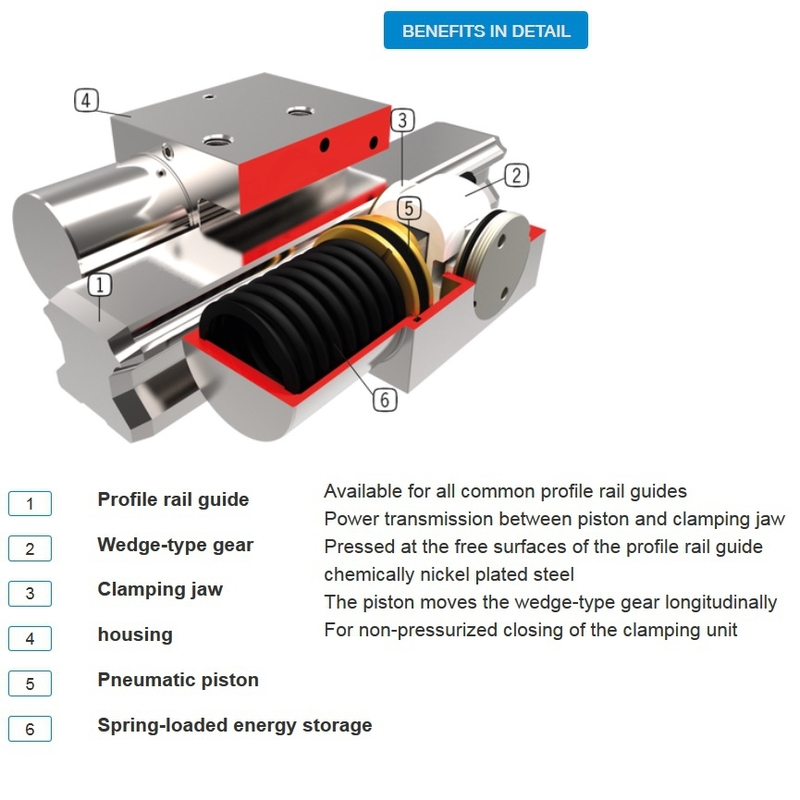 In case you need this type, consult us info@damencnc.com for more information. 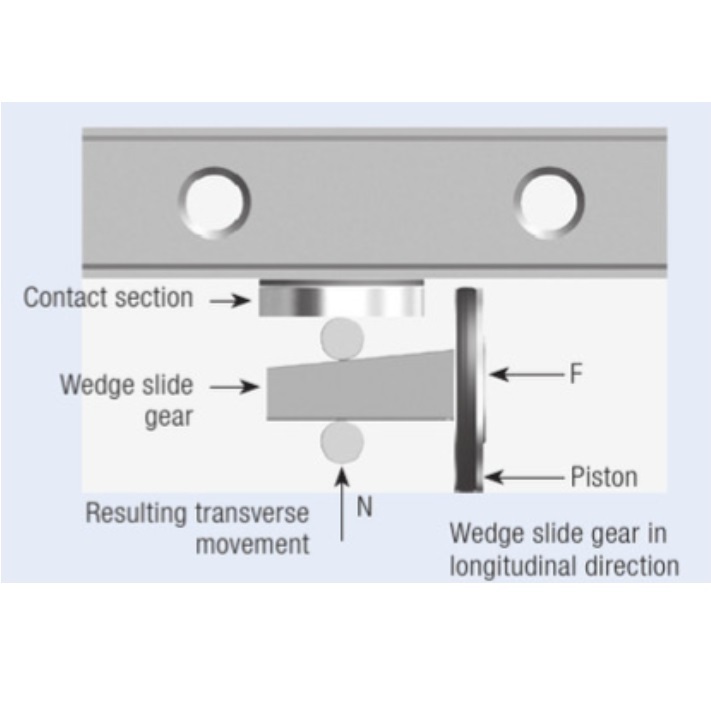 There are models which are suitable for active braking.